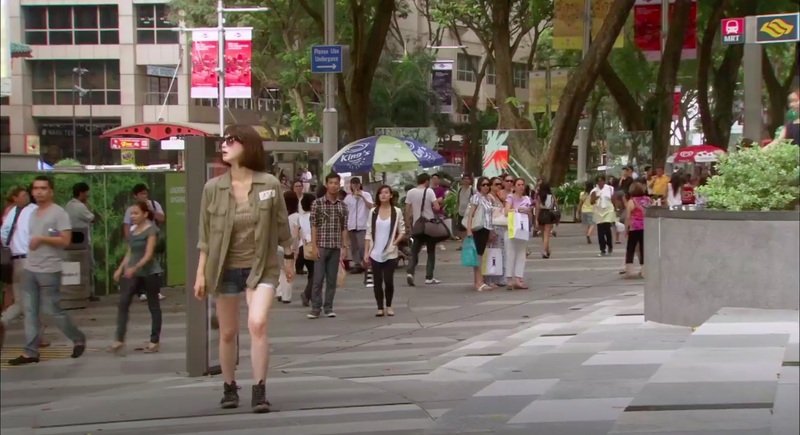 Choi Ryu (Lee Jin-wook) meets a fellow North Korean comrade while on a visit to Singapore in episode 1 of Spy Myung-wol (스파이 명월) (KBS2, 2011). 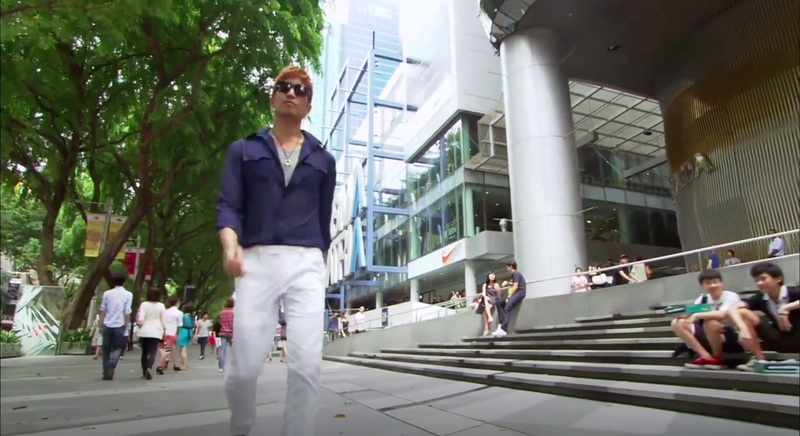 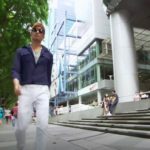 Kang Woo (Eric Mun from Shinhwa), Han Myeong-wol (Han Ye-seul) and Joo In-ah (Jang Hee-jin) also appear at this location in this scene. 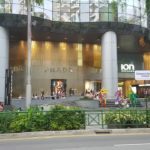 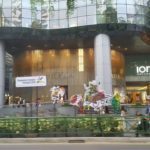 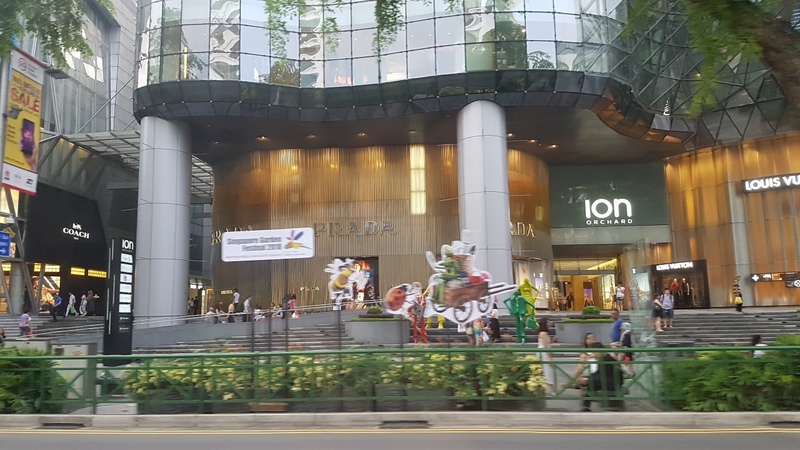 ION Orchard is a luxury mall located in the heart of the Orchard Road shopping street. 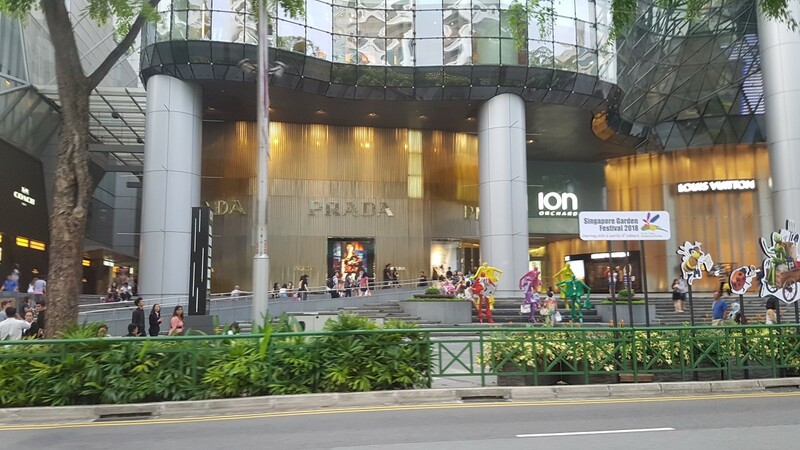 It boasts 8 levels of retail choices — 4 of them underground — with over 300 stores, an art gallery and a sky deck. 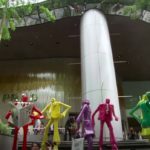 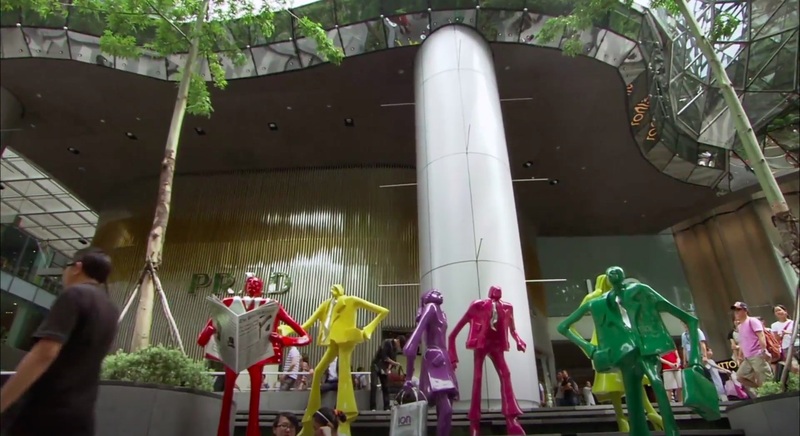 The colourful human sculptures featured in the Spy Myung Wol scene is Urban People by swiss sculptor Kurt Laurenz Metzler, and is located just outside the mall’s entrance, in front of Prada.